Tired of tiny pockets, but need something to carry around those important belongings? 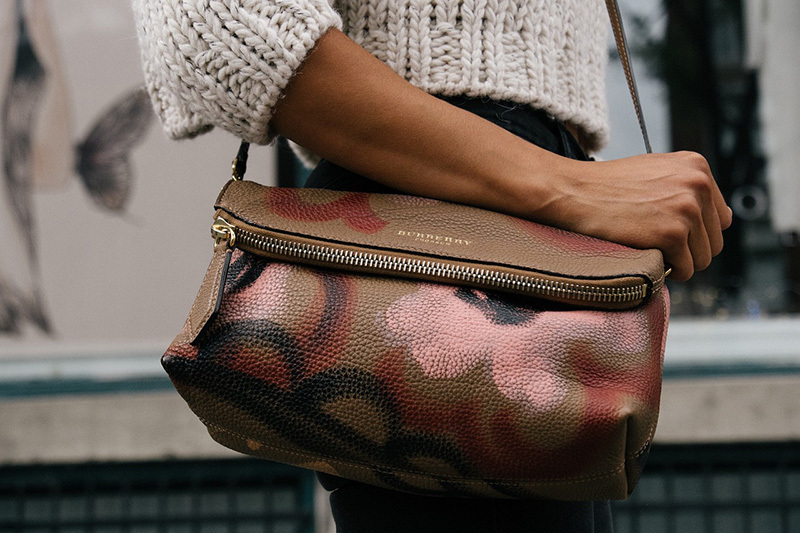 Buy a handbag… but WAIT… read these key bag trends before you do. Remember the “leopard print stamped everything” trend? Well it is back in the shape of a handbag, and with croc stamping. This texture has become trendy, not just because it makes the bag look more expensive and elegant, but also because it photos well, the shined finish allows the light to hit all the grooves in the texture, displaying it perfectly for those Insta snaps! From a beach sized bag to a clutch, so long as it has this stamping on you’ll be set to win! The pastel powder blue shade is up on the trendy list, image bluebells in the summer mixed with fresh blue skies, transformed into a bag to bring summer into autumn. From tote bags to petite bags, the calming blue will get you through. With the same necessity as satchel bags we used to see, now behold the practical bags. Throw away the tiny handbags that are harder to fit things into than our jean bags, and grab yourself a practical bag, a seasonal winner. There’s nothing you wouldn’t be able to fit into these, and it looks as though this bag trend will be here for a while. Besides the croc stamped bags we have the old statement style of animal print bags. Bags can be seen styled with this print from as simple as a little around the trim, or full animal heads printed multiple times all over the bag, like we saw Mrs Beckham create. Autumn will see the recreation of saddle bags from big Influencers displaying them on celebrities Instagram’s. These bags have become a big hit after Dior rereleased their saddle bag in an influencer campaign. Carrie Bradshaw has released some handbags ready for autumn in her latest collection. Like Dior, she has rereleased some of her previously loved bags, along with more of her much loved styles, highly logo obvious bags can be seen with the glitzy glam styles also. Either one is ready for wherever you may go. Next time you are bag shopping, see if you can spot any of these trends, if you do maybe snap one up before all the good ones are gone! Make sure you read The 6 New Autumn Bag Trends You Can Already Buy by Emma Spedding @speddingemma, (Deputy Editor of fashion blog Who What Wear UK). Looking for some jewellery to go with your handbag? Check out our new products page.